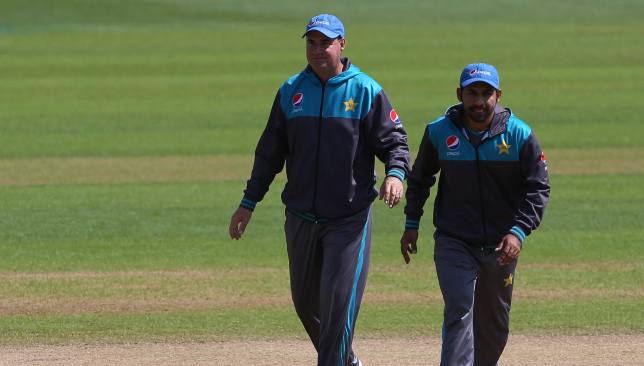 Pakistan coach Mickey Arthur and skipper Sarfraz Ahmed. The Pakistan Cricket Board (PCB) has rubbished reports of a strain in relationship between head coach Mickey Arthur and the team’s senior batsmen following the side’s dramatic batting collapse at the Centurion on Thursday. The tourists were batting at 101-1 in the second innings of the first Test against South Africa with Imam-ul-Haq going strong with a half-century before a remarkable batting collapse ensued. Azhar Ali, Asad Shafiq and skipper Sarfraz Ahmed all fell cheaply to loose strokes as Pakistan eventually folded for just 190 runs. That collapse put South Africa in command of the Test with the hosts now requiring just 149 runs on day four to take a 1-0 lead in the three-match series. According to multiple reports by the local Pakistan media, head coach Arthur lashed out at the senior players including Sarfraz and gave them a public dressing down for throwing away their wickets so cheaply. The South African-born coach was reportedly said to have been incensed by Pakistan’s habit of suffering dramatic collapses following on from their 1-2 loss in the ‘home’ series in the UAE to New Zealand recently. However, the Pakistan team management has come out to deny the reports and had stated that all is well between the coach and the players. “As per the norm, Mickey held a debriefing meeting at the end of the day’s play which was held in a cordial atmosphere with inputs from team members and management as is the usual practice,” the team management said in a statement. “The head coach, team management, captain and all team members are totally united with a singular aim of producing positive results. Pat Cummins blew away India's top-order on day three. 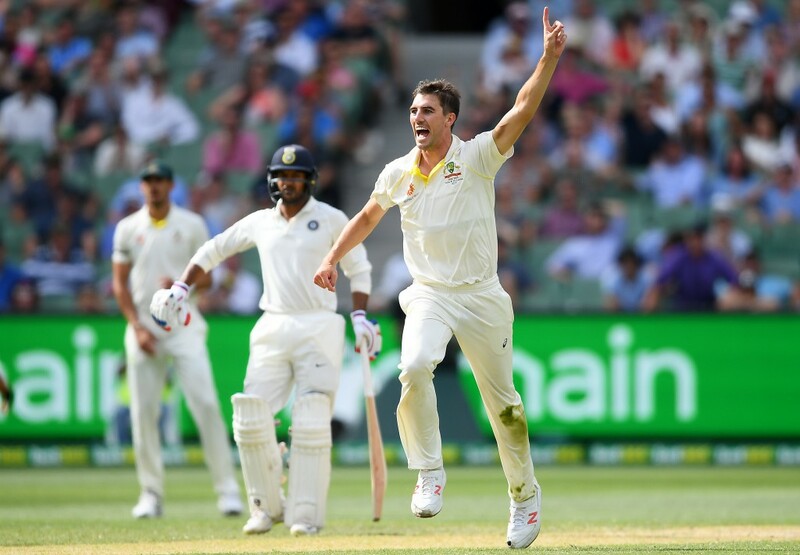 15 wickets fell in total on a topsy-turvy third day in the Boxing Day Test between Australia and India but it was the visitors who came out with the bigger share of the spoils. The hosts were bundled out for just 151 in their first innings at the Melbourne Cricket Ground (MCG) on Friday after India had declared at 443-7. By the time stumps were drawn on day three, India had been reduced to 54-5 in their second innings with their overall lead standing at 346 runs. At the end of remarkable day of Test cricket at the iconic venue, we take a look at the key talking points. The MCG surface had been almost benign for the first two days with just seven wickets falling in total but that all changed on the third day as the demons in the pitch came to life. 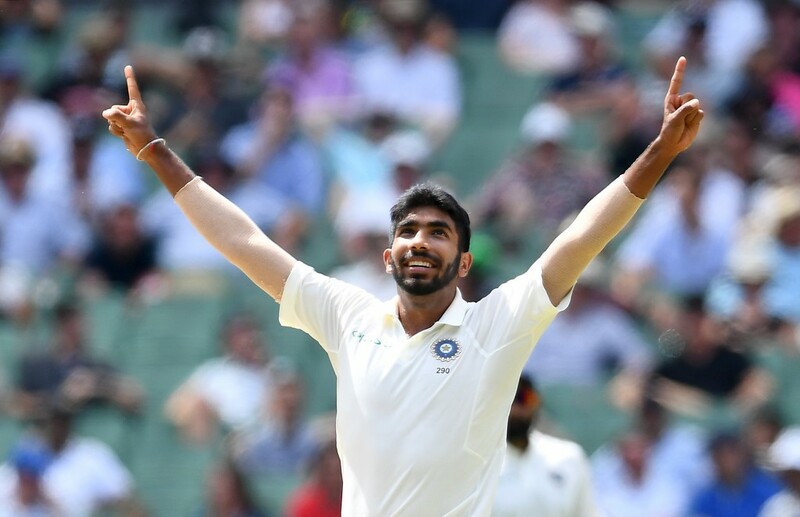 Once Australia opener Aaron Finch had thrown his wicket away to Ishant Sharma, it was Jasprit Bumrah who took charge for India with the best display of his Test career. The 25-year-old opened his account by getting Marcus Harris to hole out in the deep to Ishant. The hosts had briefly arrested the slide through a couple of small partnerships before Bumrah returned to dismiss Shaun Marsh with a stunning slower delivery. Mixing it up nicely with booming yorkers and lethal short-balls, Bumrah sent Travis Head and skipper Tim Paine packing shortly after to completely break the back of Australia’s batting. There was no stopping Bumrah on the day with the pacer cleaning up the tail to bring up his third five-wicket haul in Test cricket. The returns of 6-33 are Bumrah’s career-best figures in a still fledgling career which is just nine Tests old. A day to remember for Bumrah at the MCG. With Bumrah’s heroics handing the tourists a staggering 292-run lead, skipper Virat Kohli had the option of enforcing the follow-on but chose not to do so. However, what unfolded in the final session of the day might have Kohli questioning that decision as Pat Cummins set the cats among the pigeons in India’s top-order. The pacer was the most impressive of Australia’s bowlers in the first innings and he bettered that performance by some distance in a remarkable spell of fast bowling. Cummins got the better of Hanuma Vihari for the second time in the match with a short delivery before having both of India’s first-innings top-scorers Cheteshwar Pujara and Kohli dismissed for a duck. Both the batsmen were caught by Harris who was interestingly positioned at leg-gully. Ajinkya Rahane was the fourth batsman to perish to Cummins with the India middle-order stalwart also being caught down the leg-side by Tim Paine. Cummins’ sensational burst of 4-10 completed an extraordinary final session on Friday in which eight wickets fell. Cummins has given Australia a slim opening. With two days of cricket still to be played in the Test, India will fancy their chances of taking an unassailable 2-1 lead in the series. The Aussies too, will hold slim hopes of pulling off an improbable chase following the late show from Cummins. However, the prospect of rain threatens to mar such plans for both teams. The weather forecast for Saturday and Sunday does not look too promising with rain predicted to fall on both days. In such a case, the prospect of a draw cannot be ruled out and it’s the hosts who will be now hoping that the forecast proves to be correct. It will still be a tall order for the Aussies to escape with anything other than a loss based on their first-innings showing with the bat but it will be interesting to see how the visitors alter their plans on the fourth day with the weather forecast in mind. A fine show from Jasprit Bumrah. On an eventful day at the Melbourne Cricket Ground (MCG) where it all happened rapidly, India seized control of the third Test against Australia in remarkable fashion. 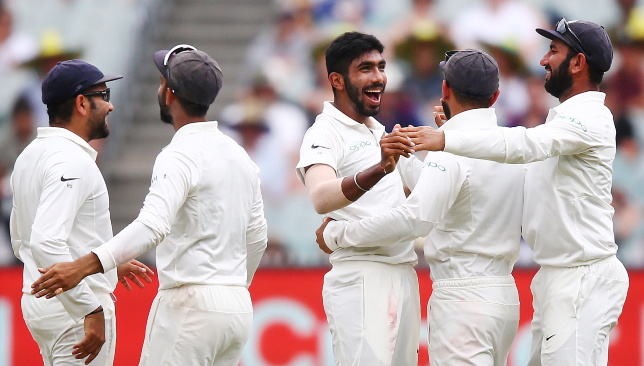 India pacer Jasprit Bumrah wrecked the Aussie batting card with career-best figures of 6-33 to hand the visitors a mammoth 292-run first innings lead. After only seven wickets fell in the first two days of the Test, it burst into life in the third with as many as 14 wickets falling on the day. 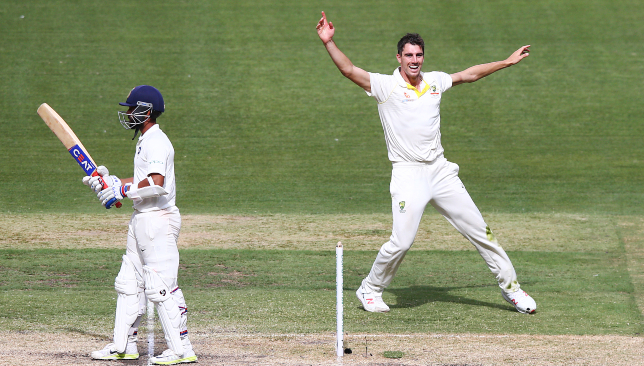 After the hosts were bundled out for a meagre 151 in their first innings, pacer Pat Cummins gave them a small opening by blowing away the India top-order in a sensational burst in the final session. Cummins picked up four wickets inside the space of three overs including the big scalps of India’s first innings top-scorers Cheteshwar Pujara and Ajinkya Rahane. The Aussie quick was on a hat-trick at one stage after dismissing Kohli and Ajinkya Rahane off successive deliveries. By the time stumps were drawn at the MCG, India had reached 54-5 in their second innings with their overall lead standing at 346. Despite the late show from Cummins, it was a day which clearly belonged to the tourists. Having posted a daunting 443-7 in their first innings, India made short work of the Aussies to cement their grip on the Boxing Day fixture. No Australian batsman was allowed to get away as Bumrah continued his sensational 2018. It was Ishant Sharma who provided India the early breakthrough in the morning session with debutant Mayank Agarwal pulling off a stunning catch at short-leg to dismiss Aaron Finch. Bumrah then got the better of Marcus Harris, Travis Head, Shaun Marsh and Australia skipper Tim Paine to put India in the ascendancy while spinner Ravindra Jadeja chipped in with the important wickets of Usman Khawaja and Mitchell Marsh.